iPad-controlled mixers were a big part of the NAMM show this year, and Mackie has put together one of the more innovative solutions we've heard of. The Mackie DL1608 is a digital mixer with full iPad control, but the real headlining feature is that this mixer can be controlled wirelessly. Once everything's hooked up to the DL1608, users can adjust the mix through the iPad while wandering the room, letting engineers easily tweak the sound from places besides the soundboard. 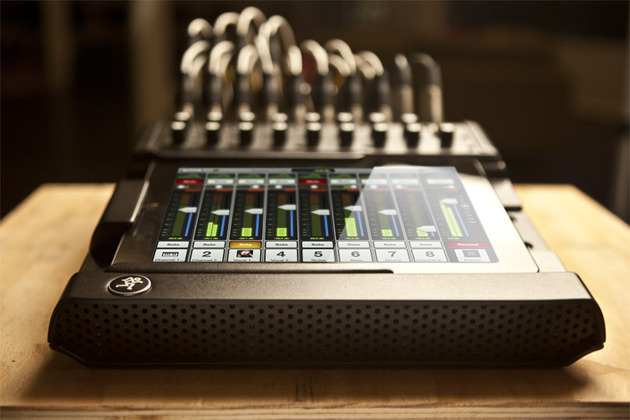 The mixer even supports up to 10 iPads simultaneously, though we imagine it might get a little difficult competing with nine other soundmen over a mix.